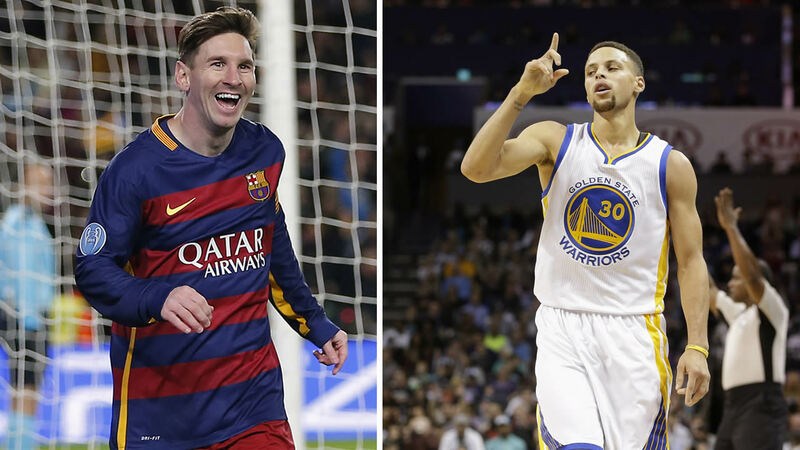 OAKLAND, Calif. -- Reigning NBA MVP Steph Curry is making friends with perhaps the best soccer player in the world -- Leo Messi. The Golden State Warriors star posted a video to Instagram on Thursday and said, "Man, I can't believe you hit 30 million followers on Instagram, Leo. We gotta get you out to a Dubs game to celebrate. But in the meantime, we gotta get you this number 30 jersey." Messi apparently got that jersey pretty quickly; he posted a photo of him holding it up on Facebook Friday. The soccer star said as soon as Curry reaches 10 million followers, which is Messi's jersey number, he'll send him a signed jersey. Right now Curry is at six million followers, so he needs some help.